There are some prevalent misconceptions about how to plant a tree that is balled and burlapped. 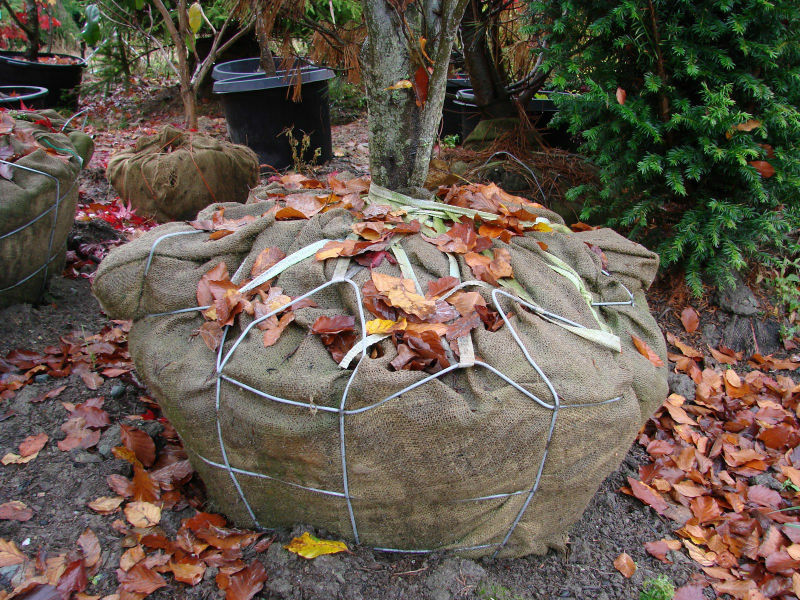 We leave the burlap intact when planting trees because it helps the root ball stay intact and helps keep the tree stable. If the tree rocks back and forth every time the wind blows, it will have a tough time establishing new roots. Our burlap is biodegradable and over time, and with moisture, will simply fade into the soil. If the wire is removed, there is a far greater chance of having transplant shock due to the removal of the roots. When trees are field grown and dug, approximately 90% of the roots are damaged. 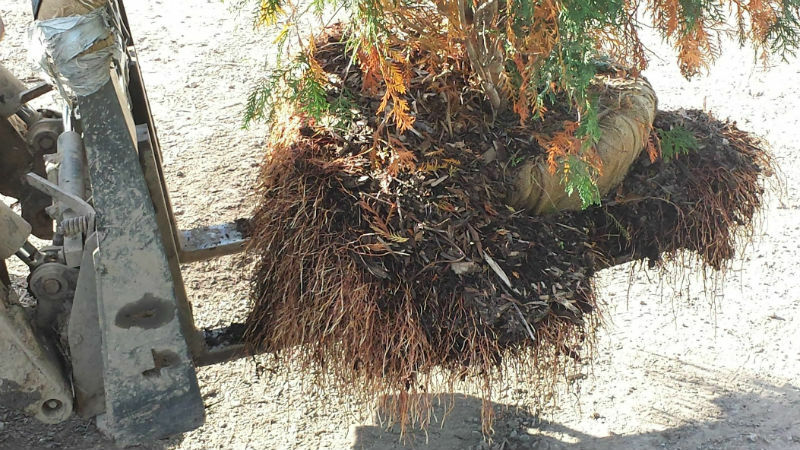 When removing the wire baskets, more of the roots will become damaged and, in heavy clay soils, will cause major damage and shock to the root system and the tree itself. If the burlap and string are synthetic, they must be removed because they will cause girdling and will not deteriorate in a timely manner. Lastly, planting depth is a major factor in a tree’s survival. Planting too deep will lead to a decline and eventual death in many species of trees. 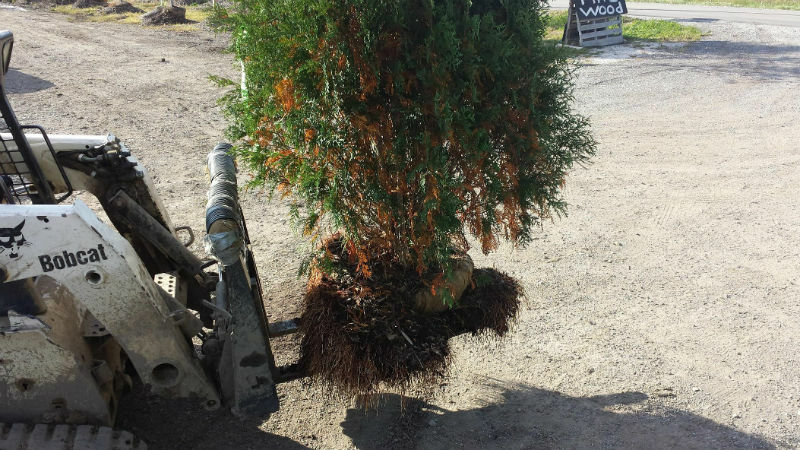 Planting trees flush with the soil grade or higher though is okay, especially with evergreens in clay, because clay tends to retain moisture which spruces and firs do not prefer. It is our practice to plant above grade for most trees for aesthetic purposes and for law of averages on best chance of tree survival. For more info on our process, visit our tree care page. Thanks for reading, and as always, don’t hesitate to call us at 317.225.4732 with any questions.